We hear from Bernadette Russell about her current exhibition, and upcoming show, 366 Days of Kindness, and how she created this work. Could you be kind every day for a whole leap year? 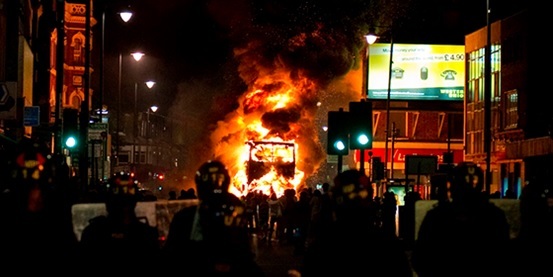 I was at the Edinburgh Festival when the riots of 2011 started, almost four years ago now. My show isn’t about the riots, although they did provide the spark that set everything off. The news had been getting to me for some time. There was the constant stream of words and images of war and genocide. There were the reports of institutions and leaders all over the world being corrupt and untrustworthy. There were millions of people marching in protest against wars, against bank bail outs, against global austerity measures being ignored by their own democratically elected governments and nothing changed. Bodies were piling up in an over-crowded world filled with carbon emissions and rising sea levels whilst animals and plants were becoming extinct by their hundreds daily. Then there was the global phenomenon of Justin Bieber. Nothing made sense to me anymore. So I stopped watching the news so much. I watched the Simpsons instead. It wasn’t that I didn’t care; it was more that it was so overwhelmingly relentlessly awful that I felt entirely disempowered and impotent. There was nothing I could do, was there? After the riots, and the anti-young, anti-poor, racist reaction from some of the media that followed, as we were still all wondering what the hell had just happened, and things had started to go back to normal, I paid for a young mans stamp in a post office in Deptford. He thanked me. So then I decided to carry on, to try to do a kind thing for a stranger every single day for a year and to see if it changed me and what would happen. I kept a record of it on twitter and on Facebook, but it wasn’t organised or focused in any way, as it started spontaneously, it was messy, disorganised, chaotic. It was such a small thing to do, to be kind every day, and it was so difficult at times, and so unexpectedly mind-blowingly joyful that I struggle to remember how I felt before I started it. I’d like you to come and see the show, so you can hear about it. You can also read excerpts in my exhibition at Deptford Lounge. I wanted to write here a little about how I feel now, and what I think about kindness today, almost four years on. I think most people would agree we are living through difficult times. However, our news is still largely dominated by negative messages and images, so it is easy to believe that it is hopeless and that all human beings are bad. Could the journalist who writes from the warzone, or the site of famine, or the site of a natural disaster, whilst reporting the tragedy in front of her can also present a solutions -driven narrative, some hope in the darkness (look: people helping each other!). This is all of our responsibility: to tell alternative stories, to share hope, to share joy, not to be in denial of the very real problems that we face in the world but acknowledging that there is also hope. There is always hope. I think our most valuable currency right now is hope, because without hope we can’t find the energy to take positive action, and we need to do this. We don’t need to give up, there is still more good than bad in the world. Being kind is stronger than being unkind, being gentle is stronger than being aggressive, and being loving is stronger than being hateful. 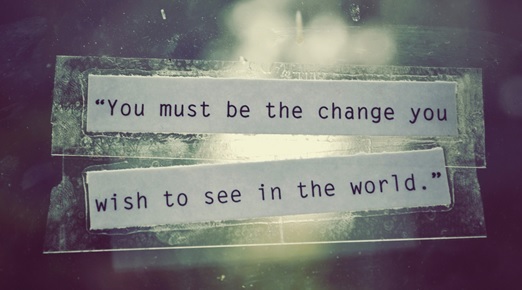 We can change the world, but the word is pretty big, so we can start right here by being kind to the people we are with and the little bit of the world we live in. If you’re thinking that sounds a bit hippy, a bit wet, I get it, I thought the same. But try it. To be consciously kind every day will change your life, and kindness spreads hope, and we need both of these to change the world. 366 Days of Kindness Exhibition is at Deptford Lounge in Giffin Square until Thursday 27 August and 366 Days of Kindness the show is on Tuesday 18 August, 7.30pm at the Albany. Click here to find out more.